THIS is a key editorial appointment with Wyvex Media’s flagship title, The Oban Times, the newspaper of record for the West Highlands which delivers Scotland’s second-largest accredited weekly circulation. The ideal candidate will be an experienced, qualified journalist who has worked in a busy regional or local newspaper environment at a senior level and who has the ambition, motivation and passion to take the next step in the development of their career. 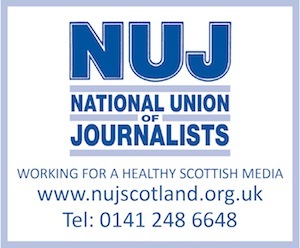 He or she will be able to handle the pressures of leading a small, dedicated and talented team of reporters, keeping the title at the forefront of breaking news, while at the same time maintaining the strong grassroots connections with the many communities served by The Oban Times. The challenges of the digital age will be regarded as opportunities and he or she will engage positively in harnessing the immense potential of web and social media platforms. An appetite for hard work will be matched by a drive to deliver a quality news agenda for a discerning readership. Full, current driving licence essential. In return, we offer an attractive salary and conditions with the prospect for advancement with one of Scotland’s leading independent newspaper publishers. Add the stunning backdrop of the West Highlands to this offer, and this makes a very appealing package. Apply with C.V. and covering letter to ali@wyvexmedia.co.uk.